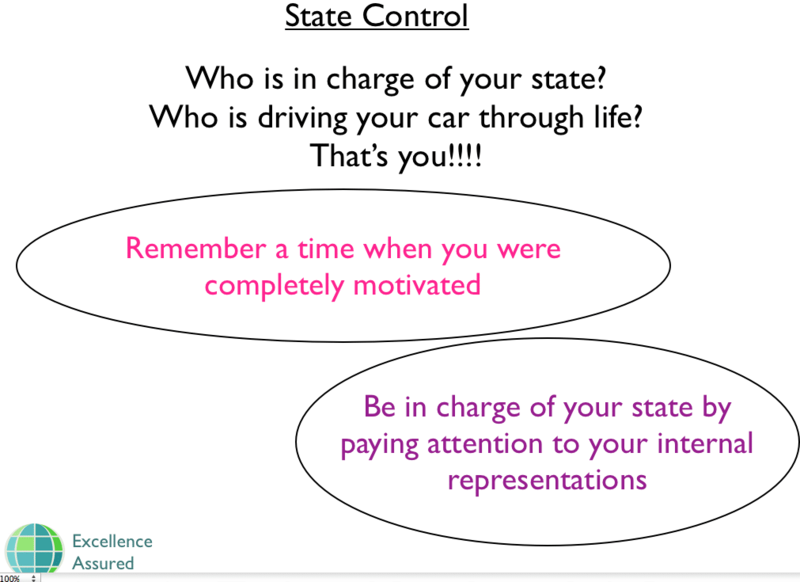 Our State in NLP is our way of being at the moment, our mood, the way that we feel. It comes from our physiology, thinking and emotions. It is greater than the sum of its parts. Our states are the most immediate part of our experience. We create them ourselves and since they affect our capabilities they also have an impact on the results that we get. They affect our interpretation of our experience. Eg I am happy today! I am grumpy today. An unresourceful state that you feel like you can’t get out of. Developing a Resource Anchor is a great way to get out of a stuck state. We provide full training and instruction on all areas of NLP anchoring in our NLP Practitioner Training.